The auction world can be a perilous place, no matter the category at hand. Whether you’re talking watches, classic cars, art, or antique furnishings, provenance, pedigree, and documentation to support both of the aforementioned items are crucial in establishing value. Looking at the watch auction market specifically, there have unfortunately been a good number of cases over the years that have called into question the reliability of any of the big auction houses’ experts. Validating the authenticity and originality of vintage Rolex watches can be troublesome at best, and as well-versed as one can be, there is always room for error. Of course, the watch that brings this conversation to mind is the recently announced “McQueen” Rolex Submariner heading for the Phillips auction in New York this coming October. It’s safe to say this piece has rapidly become the most controversial bit of news in the watch industry in recent years. 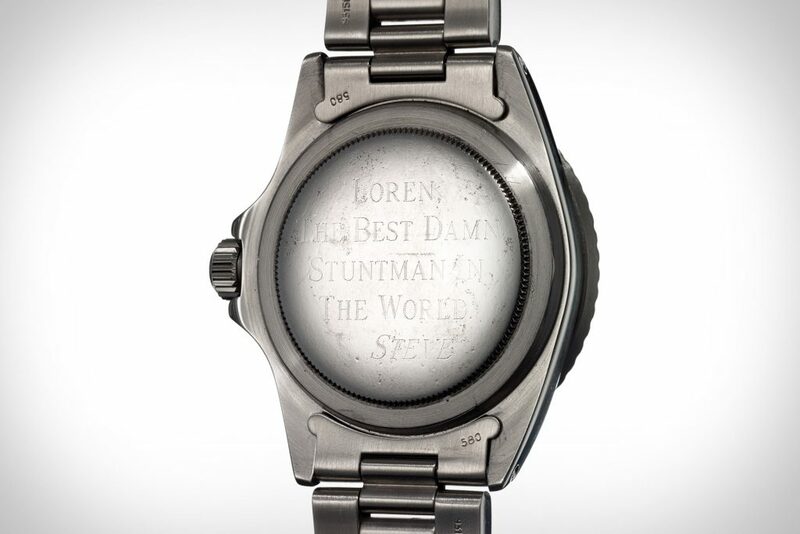 First there’s the matter of its origins, which Phillips is presenting as a watch owned and worn by Steve McQueen that he then gifted to his friend/stuntman Loren Janes. A letter signed by Janes in the last year of his life (a time where he had already been battling alzheimer’s for a number of years) was the only true document that identifies the watch as having come off McQueen’s own wrist. We had our questions and doubts about this statement to begin with, and as the story has continued to unravel, a lawyer for the McQueen family estate has gone on record stating they dispute the provenance of the watch in question. We expect there’s more to come with the McQueen story, but this is anything but the only instance of a watch being sold at auction that didn’t live up to its catalog essay. Another highly contested lot, a 1961 Omega 2913-7 Seamaster 300 for the Peruvian Air Force crossed the auction block in November of last year, fetching an astronomical CHF56,250. While the watch was listed as being “preserved in most attractive and original condition.”, some background research by some enthusiasts revealed that the watch had actually gone through a string of sales, as well as dial and bezel refits/changes between 2015 and its sale via Phillips. Given the scarcity of FAP-issue Seamasters, this watch immediately raised some questions, which unfortunately only yielded answers after its new owner had finished raising his paddle. Even the most recent “Unicorn” Daytona, which sold for a jaw-dropping $5.9M (for charity) had a fairly dark history that raised a good number of eyebrows. Heavily debated via the Rolex forums, this unique “1 of 1” Daytona had seen extensive restoration and refitting throughout its life, including case reshaping, bezel refinishing/repainting, a replacement dial, hands, the fitting of a steel crown (which we can safely assume would have been white gold from factory). Given that 100% of the proceeds from this sale were destined for charity, at least this remarkable premium fetched went to a good cause, but in the same breath it’s a bit of a tough pill to swallow that such an un-original piece fetched such a high premium, effectively on the sole fact that it’s the only white gold Daytona case out there. The other serious consideration in the auction world is reported condition versus what you can see with your own eyes. There are many an example out there of how fundamentally different a vintage watch can appear in some of the auction house imagery versus how they look and feel first-hand. 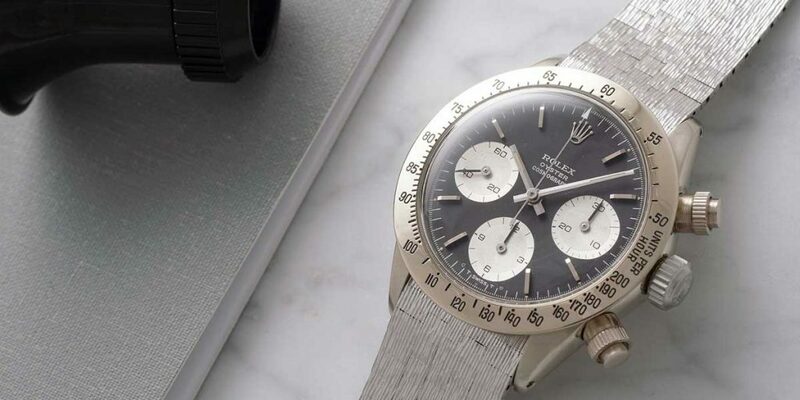 Among others, the team at Rolex Passion Report have been strong advocates of taking a closer look at watches first-hand (or at least looking at images from hands-on reporting) rather than just trusting the images as displayed by the auction houses. Among others, this Rolex reference 2508 is a prime example, seeming to be quite mint in the Christie’s imagery, whereas an obvious dial repair was picked up by the RPR team ahead of the 2016 auction. While this isn’t the kind of thing that will necessarily make or break a sale, it’s precisely the kind of thing that will impact the value of a watch in the long haul. At the end of the day, the moral of the story is simple. Do your homework, examine thoroughly, and ask questions. When parting with your hard-earned money to invest in a vintage timepiece, you can’t be too careful, and the last thing you want to have happen is to get burned by an oversight or generally dodgy practices that remain a sad reality of the vintage market these days. With vintage prices soaring these days, there are a lot of folks out there looking to make a quick buck, making it even more crucial to ensure you’re buying from someone you can trust.